Photo courtesy JMEG via Flickr. Used under a CC BY 2.0 license. The age-old question: Who makes the best 600cc motorcycle? Opinions red-line when debating which bike company has the fastest 600cc motorcycle. There are many good sport bike options up for comparison from the Japanese motorbike market. The list is in alphabetical order. This motorcycle mixes both power and flexibility. It has a powerful inline engine coupled with Honda’s excellent front suspension – the 41mm Big Piston Fork. The 2019 CBR600 is designed as a race replica using a MotoGP-inspired chassis. The body design is also aerodynamic to lower drag when riding and improve acceleration. 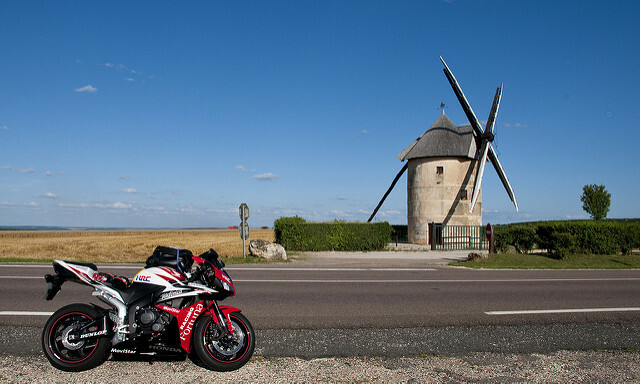 The sportscreen ensures that wind doesn’t affect the rider as they are riding along the highway. The seat height is fair, being 32.3 inches from the ground. The wheelbase is also compact, measuring a reasonable 53.9 inches. The CBR also has centrally situated ram-air intake framework that gives off mid-range power and offers a good throttle response. This is Kawasaki’s entrant into the 600cc sport bike segment. It is sometimes called the Ninja 636. Unlike other Kawasaki models, this one comes with new power mode features, an intelligent braking system, and improved traction control. The bike has cut outs on the front frame that have both an aesthetic and operational function. For starters, it makes the bike look good. Second, it helps reduce the overall weight of bike. It is also fitted with a liquid-cooled 636cc 4 stroke inline engine that offers better displacement and greater performance. The engine also offers low and mid-range torque for better usability. It means that you can use the bike for running your daily errands without feeling that the bike is missing something. Furthermore, this bike has an economical riding indicator to support fuel efficient riding. The Suzuki Gixxer as it’s popularly called is on a class of its own. This legendary bike has stood the test of time. It first came into the scene back in 1985 and quickly became a household name in the 90s. The latest GSX 600 in 2019 is designed as a racing bike. It has short handle bars to facilitate forward-leaning when racing. The body is designed in such a way that the front has a nose-down appearance, elevating the rear end. The bike also has an electronic steering damper that utilizes the engine control unit (ECU) to keep track of the speed. When the bike goes at low speeds, the damper adjusts to give the rider lighter steering. At high speeds, the electronic steering system gives out more damping force. This mid-size bike has brought life back to the 600cc segment. Packed with an incredible 599cc DOHC liquid cooled 4 cylinder engine, this bike has won the AMA middleweight championship numerous times, making it one of the fastest bikes in this segment. Furthermore, it is packed with a number of features to make sure that the rider is safe and can easily navigate. The front LED lights give off an angry-alien look and give it an aggressive appearance. It also has vents on the sides to allow free flow of air and minimize drag. There are also cut-outs on the body that make parts of the engine visible. This is complemented by an aluminum fuel tank and a magnesium rear frame that makes it less heavy and quicker on the road. Photo used courtesy of Keith Ellwood via flickr. Used under a CC BY 2.0 license. Seat height: Purchase a bike that allows you to place both feet on the ground when seated. Even though most 600cc bikes have a low seat height, not all people are the same. Some are short and others tall. Being able to find a bike that’s not too high or too low helps boost your confidence as a rider and increases safety. Also, there’s no such thing as the most comfortable 600cc sport bike. 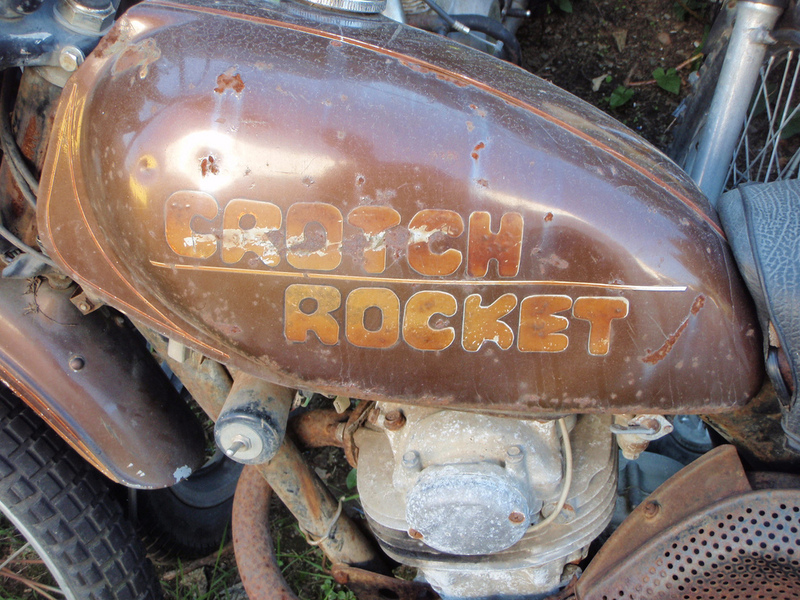 These motorcycles put your body in a much more forward position. Make sure you are comfortable with the body position required for riding before purchasing. Weight: You should know that 600cc bikes are quite powerful. Most of them are fitted with inline engines that can be quite heavy. It is advisable that you go for a bike that you can easily lift back to its upright position in case it falls on its sides. Test ride: Since you are going to spend a lot of time with your bike after purchasing it, you have to make sure that it’s the right fit for you. The best way to do this is by taking it out for a spin before completing the sale. Look at how it cuts corners, how it accelerates, the seating position and comfort, the functionality of the instruments, and any other thing that may be important to you. Service and maintenance: If you are buying a new bike, you don’t have to worry so much about maintenance since you are the first owner. However, if its a second hand bike, know its accident and mechanical history so that you don’t get any surprises when riding. In addition, ask your dealer if they offer any complementary servicing for the first few miles. You can save a lot if they do so. What is the best 600cc sportbike for beginners? For many young riders, the allure is hopping on one of the best looking sport bikes. But there’s big debate about whether a beginner should begin riding a 600cc motorbike, which is a super sport motorcycle. Super sport bikes have twitchy handling, touchy brakes, and quick throttle control. The rider inputs are sensitive. Sportbikes are not as forgiving as other motorcycles. Example: A new rider may go too wide in a corner, grab too much front brake, and dump the motorcycle. Or, a beginner on a 600cc motorcycle may grab too much throttle, do a wheelie, and wreck the bike. Does that mean you need to start on a small displacement bike? Maybe. Maybe not. It depends on the rider. A mature rider, with a good attitude, skills, and ability to learn, may do just fine. But it all depends on the rider. I hope this helps you find the best 600cc sportbike.